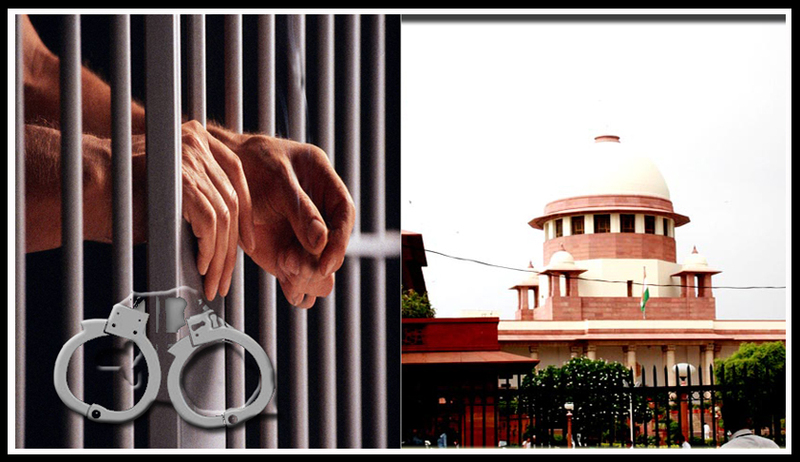 Supreme Court of India has held that it is not obligatory for a Court to release an accused by accepting the bond under Section 88 Cr.P.C. on the ground that he surrendered before the Court voluntarily and he was not arrested during investigation. The Two Judge Bench of Justices AK Sikri and Ashok Bhushan was hearing an appeal against the judgment and order of Allahabad High Court dismissing a Writ Petition filed by an accused challenging the Trial Court’s order denying bail to him. The main issue which involved in the case was ‘whether it was obligatory for the Court to release the appellant by accepting the bond under Section 88 Cr.P.C. on the ground that he was not arrested during investigation or the Court has rightly exercised its jurisdiction under Section 88 in rejecting the application filed by the appellant praying for release by accepting the bond under Section 88 Cr.P.C’. Senior Advocate Mukul Rohtagi, appearing for the appellant submitted that Appellant/Accused that having not been arrested during investigation when he appeared before the Special Judge, C.B.I., it was obligatory on the part of the Court to have accepted the bail bond under Section 88 of the Cr.P.C. and released the appellant forthwith. It is submitted that the Court of Special Judge committed error in rejecting the application under Section 88. He also submitted that although Section 88 uses the word ‘may’ but the word ‘may’ has to be read as shall causing an obligation on the Court to release on bond, those who appeared on their own volition in the Court. On the other side ASG Maninder Singh, contended that Section 88 Cr.P.C. has been rightly interpreted by the High Court. It is submitted that against the appellant not only summons but non-bailable warrant and proceedings under Sections 82 and 83 Cr.P.C. were also initiated by the Special Judge. Hence, he was not entitled for indulgence of being released on submission of bond under Section 88 Cr.P.C. He further submits that the Court has discretionary power under Section 88 to release a person on accepting bond, which cannot be claimed as a matter of right by the accused, who has already been summoned and against whom non-bailable warrant has been issued. The Bench held that Section 88 of the Cr.P.C. does not confer any right on any person, who is present in a Court. “Discretionary power given to the Court is for the purpose and object of ensuring appearance of such person in that Court or to any other Court into which the case may be transferred for trial. Discretion given under Section 88 to the Court does not confer any right on a person, who is present in the Court rather it is the power given to the Court to facilitate his appearance, which clearly indicates that use of word ‘may’ is discretionary and it is for the Court to exercise its discretion when situation so demands. It is further relevant to note that the word used in Section 88 “any person” has to be given wide meaning, which may include persons, who are not even accused in a case and appeared as witnesses”. The Bench also noted that present is not a case where accused was a free agent whether to appear or not. He was already issued non-bailable warrant of arrest as well as proceeding of Sections 82 and 83 Cr.P.C. had been initiated. In this view of the matter he was not entitled to the benefit of Section 88. “When accused was issued warrant of arrest to appear in the Court and proceeding under Sections 82 and 83 Cr.P.C. has been initiated, he cannot be held to be a free agent to appear or not to appear in the Court”. The Court has concluded that the word ‘may’ used in Section 88 confers a discretion on the Court whether to accept a bond from an accused from a person appearing in the Court or not. “The both Special Judge, C.B.I. as well as the High Court has given cogent reasons for not exercising the power under Section 88 Cr.P.C. We do not find any infirmity in the view taken by the Special Judge, C.B.I. as well as the High Court in coming to the conclusion that accused was not entitled to be released on acceptance of bond under Section 88 Cr.P.C. We thus do not find any error in the impugned judgment of the High Court”, said the Bench.